I need more cone flowers in the garden! They are so wonderful, they draw in the bees, the butterflies, the moth’s all the pollinators seem to love them. After some research it seems that they come in some really nice colors too! My mother tells me that I have cone flowers that are native to Maine…the droopy kind. Next year I think I will add some new varieties. In the meantime, it’s nice to have these around for a little while. Really enjoying sketching a little plein air! This is the most perfect time in Maine, and great for sitting outside with your art supplies. Nice temperatures, mostly not too hot, not too cold. It will be gone soon, so good to take advantage. I took a lot of photos of the butterfly and the cone flowers to use as reference for the winter months. 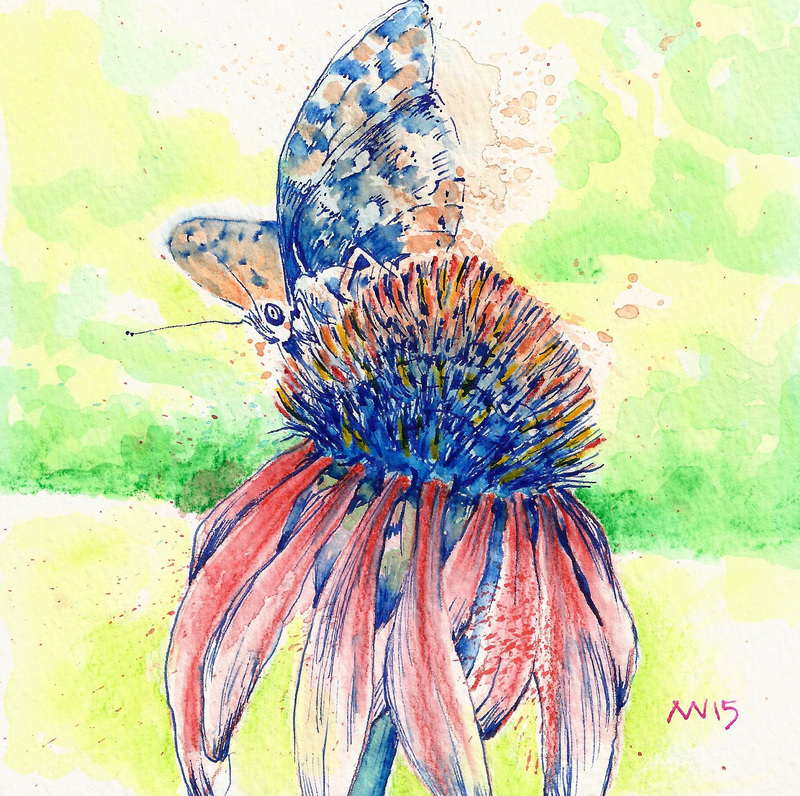 This entry was posted in art, art journal, butterfly, drawing, flowers, nature, small painting and tagged art, art journal, artist, butterfly, cone flower, fountain pen, watercolor pencil. Bookmark the permalink. thanks Laura! this is our perfect time in Maine for sure. 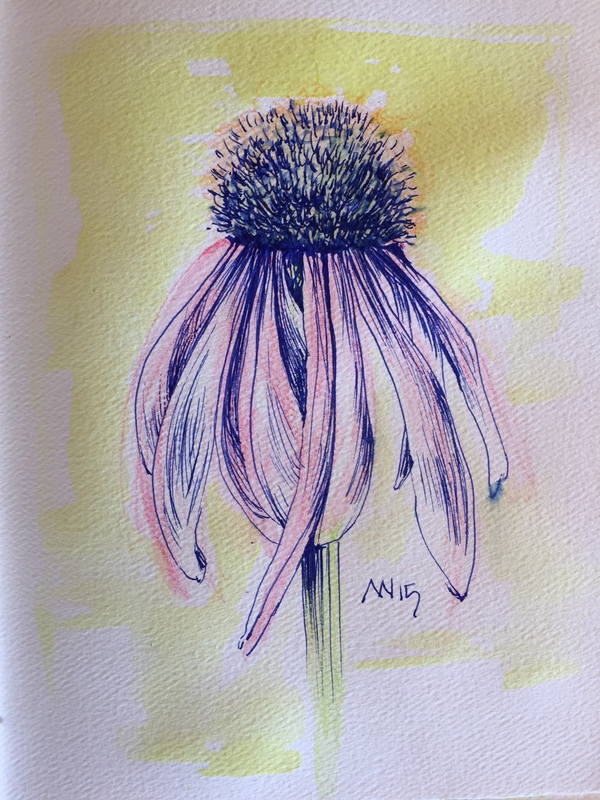 Do you sell prints of your coneflowers?